Nairobi: A bomb blast at a guesthouse in northeast Kenya killed at least 12 people on Tuesday, the same area hit earlier this month by Shabaab militants, police said. "We have found 12 bodies so far after we managed to access the building," one senior police officer told AFP. "We are still combing the area with the help of anti-terrorism police and sniffer dogs in the ongoing search and rescue." A local police chief, Job Boronjo, in Mandera County also confirmed the toll in Kenyan media. Eleven men and one woman were killed in the 3.30 am (0030 GMT) blast at the Bishar Guesthouse, a police source told AFP. This is the second attack in Mandera in under a month — the previous one on 6 October was claimed by the Al-Qaeda-linked Shabaab group. Six people were killed in that strike, which targeted a gated residential building that mainly housed non-ethnic Somalis and non-Muslims, less than a kilometre from the volatile Somalia border town of Beled Hawa. 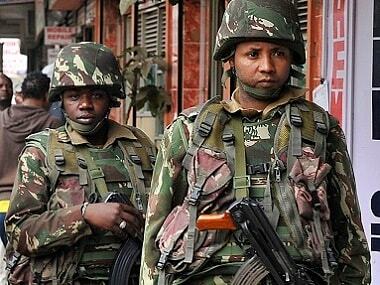 Since then the militants have targeted civilians in different parts of Kenya, including a dramatic assault on Nairobi's Westgate shopping mall in 2013 in which at least 67 people were killed.